The main reason behind the treatment in radial club hand is to decrease functional deficit which is actually sustained by a very short or even absent radius or a short ulna or an abnormal muscular structure. It can again be caused by a redial deviation of the wrist. 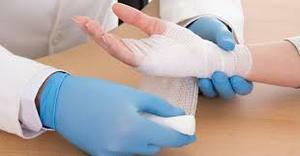 The treatment of thumb hypoplasia requires formulation of a treatment plan which acts as a consideration for a redial club hand. The absent and a obstinate hand basically inhibits the use of the hands. The Kids Orthopedics Specialist Dr. Soumya Paik provides advanced treatment facilities by hiring a team of highly experienced and qualified doctors and his staffs. For your better solution visit our site right now. Make an appointment today with us.